The subsidiary of the Dutch Imtech Corporation, located in Linz, wishes to get into Eastern Europe and achieve stronger growth. The well-known IT company based in the Upper Austrian capital and formerly known as "ILS ICT", is planning to expand into Eastern Europe under the name of "Imtech ICT Austria". 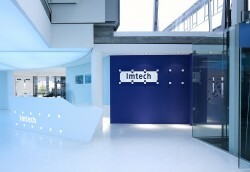 The ILS Group was purchased by Imtech in October 2008.